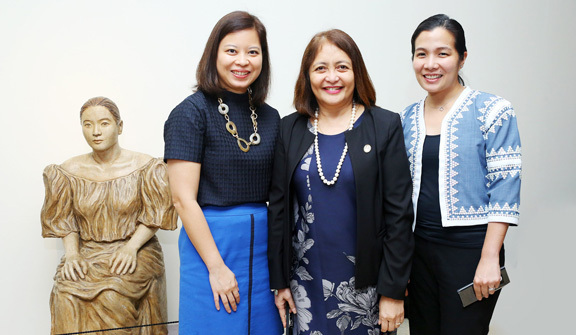 Nine outstanding Filipino micro business owners, who overcame adversity to achieve success, were formally honored in a ceremony held at the Metropolitan Museum of Manila. 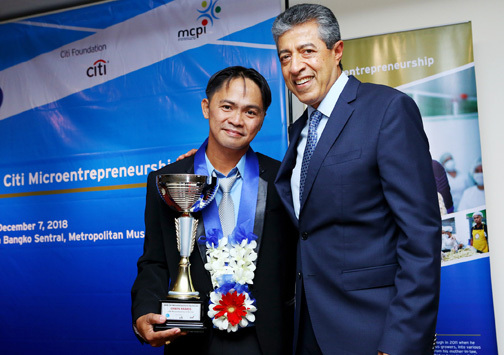 Bangko Sentral ng Pilipinas, Citi Foundation, and the Microfinance Council of the Philippines, Inc. recognized the microentrepreneurs during the 16th Citi Microentrepreneurship Awards. Accepting the top award was Erwin Ramos of Bulacan, producer of fishballs and other processed products. Ramos was joined by other awardees: Maria Elena Estadola, a handicrafts business owner, regional awardee for Luzon; Rosario Amoroto, a calamansi processing business owner, regional awardee for Visayas; Arnold Viado, a balut producer, regional awardee for Mindanao; and Mary Grace Bayalas, midwife and owner of a birthing home, Youth Microentrepreneur of the Year. Special awards recipients were Estrella Balnao, a coffee farmer and producer; and Romeo Ponio, a corn and vegetable farmer, who both took home the recognition for agri microbusiness. 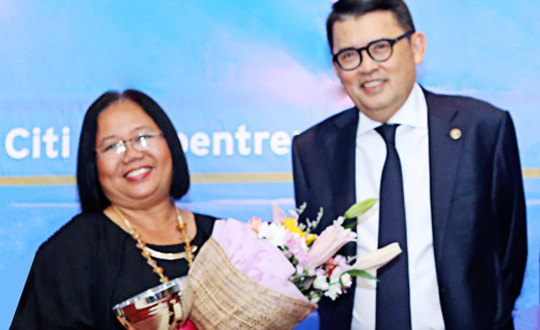 The special award for community leadership went to Jessette Oquendo, owner of a pasalubong center for Palawan crafts; while Marisa Ganding, a spa and wellness center owner, received the special award for startup microbusiness. The Citi Microentrepreneurship Awards has, since its inception, remained steadfast in its mission of raising awareness on the transformative power of microentrepreneurship and microfinancing, serving as tools in poverty alleviation.